The fruits of SQ788 have been harvested and now a growing number of Oklahomans have access to medical cannabis (49,637 at the time of writing this). Most states limit the conditions in which patients may qualify for medical cannabis. Part of 788’s beauty is that it gives power to the physician to recommend medical cannabis at their discretion. Cannabis works for a variety of ailments and is known to influence an array of different moods. This flexibility is made possible through a multitude of terpene profiles found in each cultivar. Knowing the terpene profile found in different varieties will help patients customize their experience and achieve the greatest medical benefit. A familiarity with terpenes will also help guide a patient to a suitable replacement if their favorite cultivar is rare or out of stock. While Oklahoma has not yet set testing regulations, other states have regulations requiring terpene testing in addition to moisture, microbial, potency, heavy metals, residual solvents, and more. Complete testing is beneficial for patients, especially those with compromised immune systems. Terpene testing is also important for patients with allergies, one of the more common allergens being linalool. Linalool is found in large quantities in lavender. The terpene is also present in clary sage, sweet basil, patchouli, and many other species. 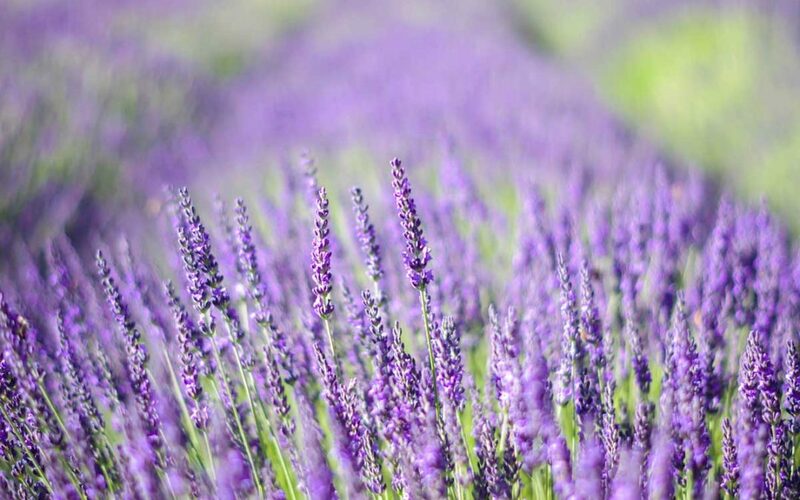 Linalool’s sweet smell makes it a popular staple in the perfume industry and the calming effects make it a desirable component for many lotions and bath products. In animal studies, linalool has been shown to reduce anxiety and depression. Lavender oil is approved by the European Medicines Agency as a medicine that can be used for relief of mental stress, exhaustion, and also to aid sleep. Additionally, linalool has also been shown to decrease aggressive behavior in mice. Patients with issues of the central nervous system could also receive benefit from this compound. However, patients should be sure to consult with their healthcare provider before discontinuing any medications. The journey to better health should be fun and exciting. We recommend new patients log their experiences in a journal. Record the product, amount of consumed, time to onset, length, make notes of any unwanted side effects and any other important details. Journaling will help new patients to quickly find a medication regimen that works for their lifestyle.